Singing during pre-menstruation: What does the research say? What influence does the menstrual cycle have on female singers and their voices? Deborah Winter examines the medical research. There has been much debate over the years regarding the female menstrual cycle and its impact on voice quality. Many experts in this field, including leading otolaryngologist Robert Sataloff, believe the “hormonal environment” has a significant effect on the female voice. If this is the case, then a greater understanding of the biology relating to the menstrual cycle could help female singers preserve vocal health and maintain vocal quality. After all, professional singers engage in feats of vocal athleticism on a daily basis, so the influence of regular changes to the body should be considered. As with many scientific studies, it is difficult to draw firm conclusions, but it is certainly worth considering the research that has been undertaken. 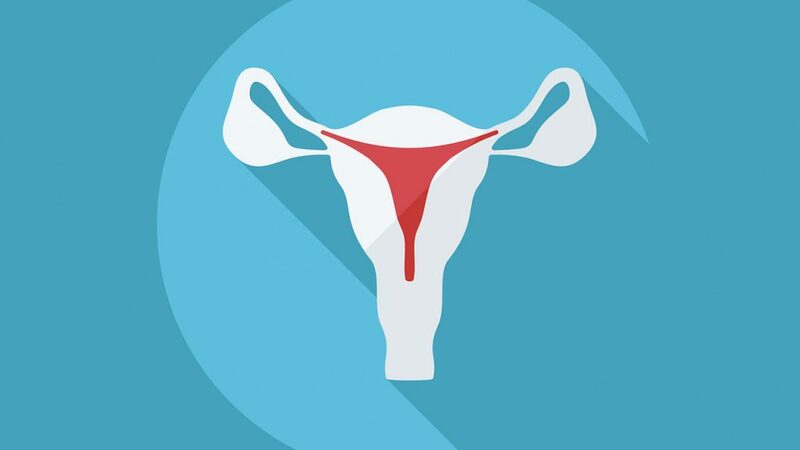 Menstruation, along with pregnancy and the menopause, all result in marked hormonal changes. 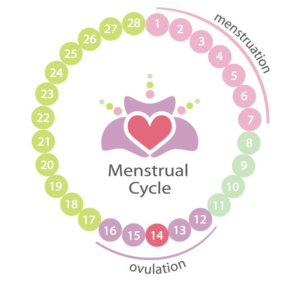 The ovarian cycle consists of, firstly, the follicular phase, which begins with the menstrual period and ends just prior to ovulation. This is followed by the luteal phase, which begins after ovulation and continues until the onset of menses. Oestrogen reaches high levels just before ovulation and menstruation. After ovulation, progesterone levels increase, reaching their highest levels just before menstruation. Both of these hormones interact and affect the structure and hydration of the vocal folds (Chae et al., 2001). If this synergistic ebb and flow of hormones alters the structure of the vocal folds, then it may influence vocal quality and, in turn, the performance of the vocal athlete. Submucosal oedema can result from a decrease in oestrogen during the premenstrual phase. Put simply, this is where the vocal folds swell. Changes in vocal fold volume can cause problems in high pitch phonation (Brodnitz, 1971). There is a greater degree of hormonal instability during the luteal phase and all of the research to date examines the extent to which this impacts on both vocal health and voice quality. Typically, this is experienced four to five days before menstruation and is referred to as premenstrual syndrome. Brodinitz (1971) presents the case of a young opera singer who experienced small sub-epithelial haemorrhages during the premenstrual phase. The issue abated when she refrained from singing during the premenstrual phase. Luschinger and Arnold (1965) cited an actress who became hoarse during premenstruation. In 1968, Lacina of the National Theatre in Prague documented that “premenstrual dysphonia” affected 40% of all female singers. According to his study, the singers experienced difficulties in high tone phonation, inaccurate tone and submucosal vocal fold haemorrhage just prior to menstruation. It was also reported that many singers struggled with intricate passages that required vocal acrobatics, impacting upon their scheduling of concerts. This earlier research gives credence to the “grace days” given to female singers by the European opera houses. Chae et al. (2001) conducted a study of 28 female nurses aged between 21 and 30. They were asked to produce the vowel /a/ as in ‘father’ and sustain it for five seconds. The study concluded that not all women suffer from premenstrual syndrome and that the voice changes were insignificant when the study was viewed as a whole. However, those women who exhibited signs of PMS were more prone to voice changes, exhibiting a higher “jitter” value during that phase. The “jitter” value is an important measure of vocal stability, measuring the cycle-by-cycle vibration of the vocal folds to evaluate how consistent these are over time. The measure of vocal jitter is observed to increase in voice disorders. This irregularity is responsible for hoarseness. It is also worth noting that, in this study, nurses were asked to sustain a vowel for five seconds. Although it is difficult to compare nurses with singers in terms of day-to-day vocal activity, this study may act as a warning to PMS sufferers to safeguard their vocal health during times of high performance pressure. There have been several studies that utilised a laryngoscope to determine possible changes during menstruation. Abitbol et al. (1999) discovered vocal fold congestion, microvarices and oedema in their study. They also reported a reduction in pulmonary power. These findings were, to some degree, confirmed by a later study conducted by Chernobelsky (2002) who carried out a laryngoscopy in healthy singers and vocally abusive singers. Prior to menses, all of the singers displayed normal vocal folds. The laryngoscope examination just prior to menses revealed “slight oedema and erythema of the vocal folds” and, although there seemed to be sufficient vocal fold closure, there was a decrease in tension in the vocal fold muscle (Chernobelsky, 1998). The research warns that this hypotension could lead to increased effort which may result in the beginning of a voice problem. Ryan and Kenny (2009) conducted a study on young female singers in the western classical tradition from the Sydney Conservatorium of Music. Their study indicated that not all singers suffered from acute symptoms of PMS, but the small proportion of singers who did were “severely affected” during the menstrual phase of their cycles. These singers found the demands of coordinating their body “more challenging, vocalization more effortful and singing less aurally and artistically rewarding”. 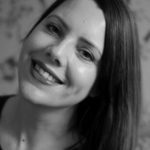 This research also considered the impact of mood on vocal quality and found that PMS sufferers were likely to be influenced by a negative mood which could have an adverse effect on vocal quality. The body of research seems to suggest a correlation between the premenstrual phase and vocal difficulties. It is important to appreciate that not all women suffer from PMS and the levels at which they may suffer vary between individuals. However, those with symptoms will experience issues during the premenstrual phase. It may be prudent to give appropriate guidance in the form of vocal hygiene. Singers who endure heavy schedules with expectations of vocal acrobatics should be advised to take care during the pre-menses period. This could take the form of adopting vocal strategies that carry a lower risk and increasing other vocal health measures to counteract the strain.